As Lords vote on restoring Parliament, Green Peer Jenny Jones argues it needs rebuilding from the basement up. The Lords are voting on the refurbishment of Parliament today. But we need to talk about more than restoring the polish on old wooden benches. We are meant to be taking back control. And yet the recent Brexit debates in the Commons show just how unsuitable Parliament has become: not just the physical structures, but Westminster’s two-party system of government and opposition benches. The signs of decay are evident all around. Rather than sensible debate about the hugely complex EU Withdrawal Bill, we have a minority government attempting to steamroller the middle ground – with much of the so called ‘detail’ being left to Minister’s to decide at a later date, using dictatorial Henry VIII powers. Amid this, those MPs who break ranks with their colleagues on the government benches are decried as rebels and mutineers. Yet if we want a democracy which values a mix of voices and opinions, there is a physical way we can help achieve this: by rebuilding Parliament in a horseshoe shape. Democracy should be a striving for consensus, not a partisan festival of point scoring. More than that though, the building work isn’t due to start until the mid-2020s – giving us plenty of time to introduce fair votes. A proportional voting system would mean people being properly represented across the political spectrum. That would also provide an opportunity to replace the Lords with a democratically-elected second chamber. 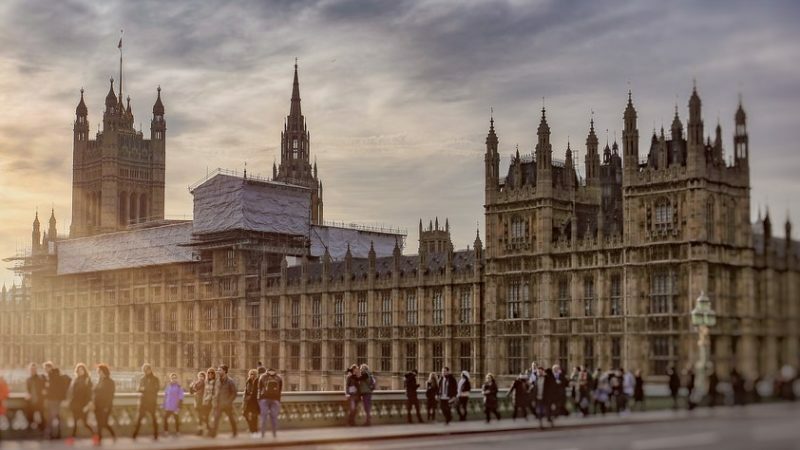 Along with modern democratic structures for Parliament, we need to modernise voting within the chamber – so that votes can be done at the press of a button, rather than spending days queuing each year, which is currently part of an MPs, or peers, life. We get paid for queuing – but wouldn’t you rather we used that time to deal with constituent problems? The need for a Parliamentary upgrade is urgent. On a recent tour of the building’s basement, I came across a small box on the wall which looked like a tangled mass of very dirty rice noodles, bursting out of the metal frame. It was part of the phone system – I believe still in use. In another corner was a recently-removed rusty pipe, gaffer-taped in several places to block up holes. It was in use until three weeks before. The scale of the problem raises the question of whether to do the upgrade in a piecemeal manner as we continue to work there, or to decamp to a more suitable building and allow the builders to get the job done more quickly. It’s an opportunity to think big: perhaps Parliament should spend a few years outside of London and change the political gravity of the country for a while? Indeed, there are a lot of strong arguments for permanently popping the Westminster bubble with a move to somewhere beyond the M25. Parliament is a glorious place for history. We should value that, and ensure that the building is truly cared for. Let’s ensure it is loved as the home of our democracy – one which is need of renovation in more ways than one. This is what Peers should consider today – more than where the Lords can store their ermine. Jenny Jones (Baroness Jones of Moulsecoomb) is a Green Party Peer. Yes, a newly designed and built parliament building to house a newly introduced “proportional representation” voting system and located near the middle of England therefore allowing the MPs less far to travel (on average). The old, crumbling Westminster buildings can then be sold off for housing to help pay for it all. Visitors to London would still be able to take their pictures from the bridge and take coffee from a cafe within the foyer. Job done.